Yes, it's that magical time of year again when the Darwin Awards are bestowed, honoring the "least evolved" among us. 1. When his .38 caliber revolver failed to fire at his intended victim during a hold-up in Long Beach , California would-be robber James Elliot did something that can only inspire wonder. He peered down the barrel and tried the trigger again. This time it worked. 8. As a female shopper exited a New York convenience store, a man grabbed her purse and ran. The clerk called 911 immediately, and the woman was able to give them a detailed description of the snatcher. Within minutes, the police apprehended the snatcher. They put him in the car and drove back to the store. The thief was then taken out of the car and told to stand there for a positive ID. To which he replied, Yes, officer, that's her. That's the lady I stole the purse from." 10. When a man attempted to siphon gasoline from a motor home parked on a Seattle street by sucking on a hose, he got much more than he bargained for. Police arrived at the scene to find a very sick man curled up next to a motor home near spilled sewage. A police spokesman said that the man admitted to trying to steal gasoline, but he plugged his siphon hose into the motor home's sewage tank by mistake. The owner of the vehicle declined to press charges saying that it was the best laugh he'd ever had and the perp had been punished enough! In the interest of bettering mankind, please share these with friends and family.... unless of course one of these individuals by chance is a distant relative or long lost friend. In that case, be glad they are distant and hope they remain lost. They walk among us; they can reproduce. And they can actually vote!!!! Be on guard!!!!!! 11. Officer Michael Szeliga reportedly packed a bottle of Jameson Irish whiskey in his patrol car before driving to the Hyatt Regency Pier 66 Hotel, where he was supposed to be attending two days of DUI law-enforcement training, paid for by Mothers Against Drunk Driving. Ironically, Szeliga was supposed to get an award from the organization for making more than 100 DUI arrests but was asked to forgo the banquet after showing up "wasted." 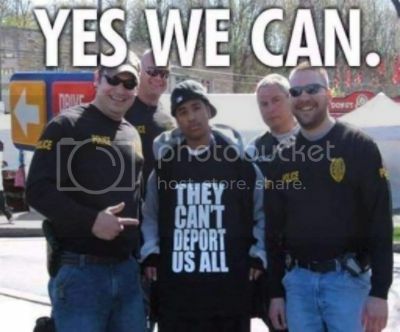 They can vote. Sad but true. 12. Paul Terry, 26, was arrested after he and Sonja Moro, 29, allegedly broke into her ex-boyfriend's house in Tulsa, Oklahoma and robbed him at knife point, according to Newson6. 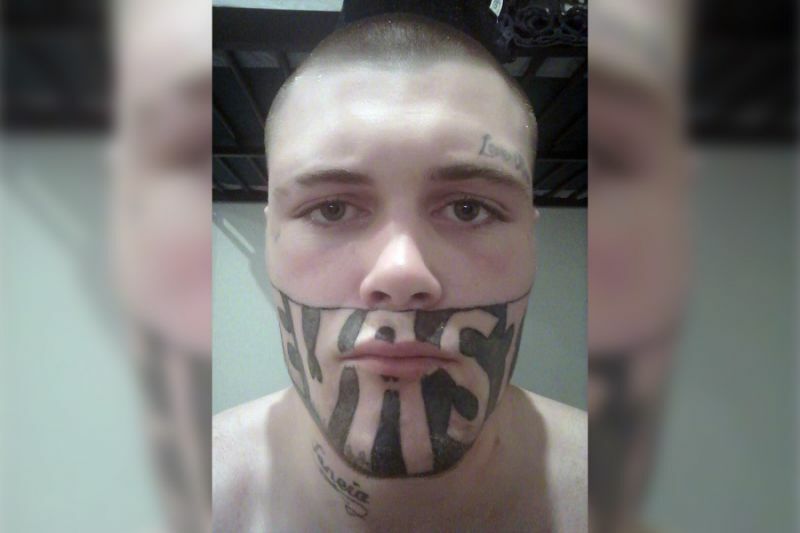 The man was easily able to identify the male suspect thanks to his 'F**k Cops' tattoo on his forehead. He also has a tattoo of devil horn's on his head and one of a red lip imprint on his cheek. 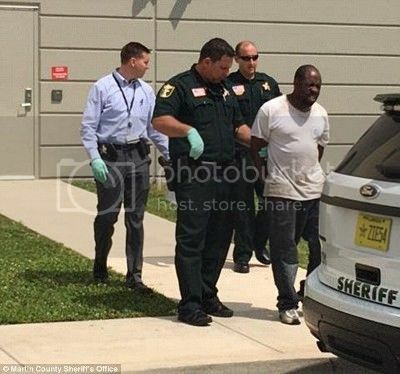 Authorities said 36-year-old Jackson did not have money to fill the tank of the stolen BMW and subsequently ran out of gas at an intersection. Demetria Almond with her son Kobe Thomas. 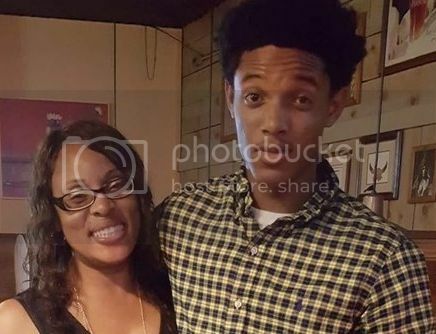 Kobe Thomas died Sunday after he was struck by a car, Channel 2 Action News reported. The 16-year-old was playing “jump the car” with a group of friends when the incident happened. The game involves jumping over a car as someone drives toward you. A man in Washington state has been arrested for planning to kill his wife and four-year-old daughter after a text message sent in error to his former boss exposed the murder plot. A man in Arizona learned a valuable lesson about jumping spiked fences in baggy pants. According to a safety report, a locksmith working at the school spotted a man trying to get into a couple of rooms. When the man saw the locksmith he ran and tried to jump back over the school's spiked fence. The suspect didn't quite make the leap, his pants got caught and he was left hanging upside down with his underwear showing. That's when Jesse Sensibar and Kristin Woodall were passing by. They snapped a photo and shared the story on Facebook. Sensibar said he saw the man while driving down the road and decided to turn around and help but "by the time I got back around the block the cops were rolling up two cars deep." I think his hair is green, but I am colorblind. DALLAS (CBSDFW.COM) – Dallas Police are investigating an attack on one of their own that happened in Downtown Dallas on Saturday afternoon as two officers tried to eat lunch. Security camera footage appears to show a man get up from his table at Zenna Restaurant and walk outside. Once on the street, investigators said the suspect is seen urinating on the police car; then furiously punching the window and shattering the glass. When the officers were informed of what was happening, the video shows them confronting the man as he walked back inside Zenna. After a few words, it appears that the suspect punches one of the officers in the face. After a brief struggle, the two officers were able to wrap up and restrain the man later identified as William Holmes, 27. A Jacksonville man's Facebook Live was interrupted by officers who raided his home Thursday. Breon Hollings, 22, was arrested June 1 after officers found a handgun, crack cocaine, ammunition, oxycodone pills and drug paraphernalia at a home on Amazon Avenue, according to an arrest report. Several people sent Action News Jax a Facebook Live video that appears to show officers raiding his home. In the video, a man who appears to be Hollings flashes money at the camera for about a minute before he hears officers outside on a loudspeaker. This plays better than website video. After watching, just for laughs, watch again after clicking the CC feature. Well, duh! He is only 19. Bad choices all around. But this idiot can not even claim that excuse. Loss of "employment options" is NOT the deterent that it should be.. since the "Nanny State" funds people cradle to grave... despite their own BAD life choices. What are the odds of someone else waiting in line to get a pizza had a gun? If I saw a guy in line holding a can of gasoline, I wouldn't wait around. I guess these people are use to this type of mayhem. I'm guessing she WILL be located. She was able to pull it off because she already ate the store's manager.